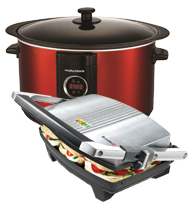 For the best selection of health grills, sandwich toasters & steamers with fast and reliable delivery nationwide. Cooks perfect meals at the touch of a button! Slow-cooked taste and tenderness in minutes rather than hours!